Taking care of your lashes! How can I take better care of my lashes? 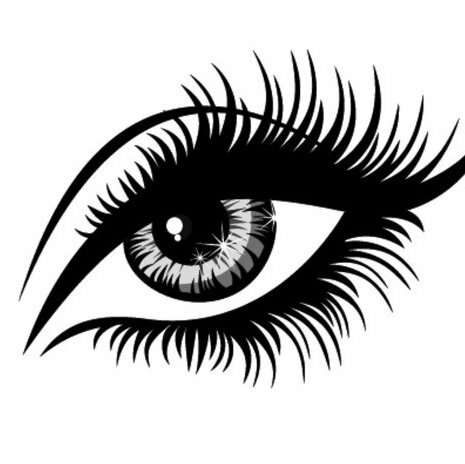 Lashes, they have become an obsession with the beauty world. As tiny as they are, they can change the appearance of your eyes. Healthy lashes give eyes a clearer, brighter and warm look. On the opposite side of this spectrum unhealthy lashes can cause your eyes to look dull and tired. Your eyes are sensitive and taking care of them are much different from the rest of your face. Take if off every night! Mascara is great! It gives us definition, volume and rich color that our eyes may not have naturally. Many women however, forget to remove the magical elixir at night. 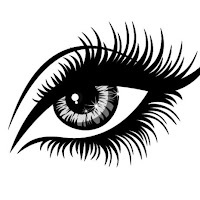 Lashes can become dry and brittle if you don’t properly care for them causing them to break or fall off. It can also cause infection by causing you to rub your eyes more. Washing your face is not enough to remove most mascara and eye products since the majority of them tend to be waterproof. One thing to remember when removing your eye product is to be gentle. You don’t want to tug, pull or rub harshly when doing so. There are many makeup remover products on the market that you can apply to a cotton pad and gently run across the eyes. You can also use organic oils like olive oil if you would like. Never use the same cotton pad on the same eye. This increases the risk of spreading infection or bacteria. Conditioning your lashes can be easily done by applying any of the oils or items listed below to your lashes prior to sleeping. Make sure to remove the treatment in the morning. You can apply using a clean mascara wand or cotton swab. It does take time to start seeing results, sometimes a few months, so be patient and don’t give up. You have always heard not to rub your eyes and there are several reasons for it. First, if you are wearing makeup it will give you the “Racoon Look” which isn’t one we usually want. But other than that it can damage the lashes, spread bacteria to the area, and is not good for the skin under the eyes. But the Falsies are so dramatic! I love the way that fake lashes make my eyes look. All flirty with extra drama! But applying that glue that is full of chemicals and can actually weaken the roots of my natural lashes just aren’t worth it. Not to mention that almost every time I remove my strips there was a lash or two of mine hanging on them. There are other ways to achieve this look without causing so much damage. Look in to Latisse or other lash enhancing serums to help achieve the look you want. Curlers can help us get that look that we just were not born with but there are some cautionary steps to take before using and reusing the lash curler. First always clean and disinfect the curler. Bacteria from makeup and product has been sitting on there since last use. You don’t want that on your eyes! Once you have the curler cleaned and ready to go apply to the lashes for no more than 5 seconds. Squeeze gently and don’t tug or pull on the curler while it is on the lashes to avoid damaging the lashes. There is no rule that says you have to wear make up every day and if there were we would break it anyway. It is good to give not only your lashes but your skin in general a break from makeup and let them breathe. Our mascara and eye liner are full of chemicals and other things that can stunt their growth and cause them to not be as gorgeous as they possibly could be. Plus it will give you a few extra minutes in the morning and evening (because if you don’t put it on, you don’t have to take it off) to do something you enjoy or a chore you can get out of the way and not have to worry about that evening. Don’t be the owner of the Sandals resort for bacteria. Mascara can be a bacterial paradise! You should as a rule replace your product every 3-6 months depending on how often you utilize it. Not only does this keep the bacteria down but it keeps the mascara from being dry, clump and flaky which not only doesn’t give you the look you want, but can irritate or infect the eye. You are what you eat… and so are your lashes! Eating foods that are rich in vitamins C, D, E and H are a great way to keep your lashes healthy and vibrant! Vitamin C can be taken as a daily supplement or can be found in these foods naturally. It aids in the absorption of iron which is needed for all over healthy hair. The top ten ways to get vitamin C in foods are Guava, black currant, red pepper, kiwi, green peppers, oranges, strawberries, papaya, broccoli and kale. Vitamin D strengthens the hair follicle which reduces hair loss. The top ten ways to get vitamin D are sunlight (of course), cod liver oil, sardines, salmon, mackerel, tuna, raw milk, caviar, eggs, mushrooms. Vitamin E has been a beauty go to for a very long time as it promotes not only hair but skin also. The top ten sources for vitamin e are Almonds, Spinach, Sweet Potato, Avocado, Wheat germ, Sunflower seeds, Palm Oil, Butternut squash, Trout and Olive oil. This vitamin can help rebuild hair that is already weak dry and brittle. Increasing your intake can revive your lashes back to their fullest. The top ten sources for this vitamin are liver, almonds, eggs, yeast, avocado, whole grain bread, salmon, cauliflower, cheeses, raspberries can be found in mushrooms and whole grains. Vitamin H helps rebuild* hair that is already dry and splitting, it revives your eye lashes to its healthy fullness.